TY for this - I am reading it now and like how simple it is to read. Seems to explain much for me. Since you asked so kindly (I'm used to getting flamed for sharing websites) I'll give you more than one - How's that? Probably too much, but I will share what I have found thus far. I found them very helpful and in fact currently downloading the videos. Hope that helps. Also, get Anthology of Discourses of the Pali Cannon. Nice little bits of the four Nikayas. I have nothing against Kerouac and the likes. Infact at some stage in my life I may have been inspired by them as also John Cage and Gary Snyder. I did find the book 'keeping the breath in mind' by Ajaan Lee fairly accessible for those starting out on meditation. Some nice books I could read on the smartphone - it could be beginner's material or advanced. This will solve two problems at one stroke - I could learn more, plus also avoid doing meaningless stuff on the smartphone. "Zen Mind, Beginner's Mind" is nice. "Tales of the Dalai Lama" is fun. And "The Chinese Bandit" is a rollicking good read, if not quite so obviously "Buddhist." There are some free Buddhist books on Amazon Kindle (which you can download as an app on pretty much any smartphone). Some are good, some are not, but what use you get out of them depends what you need. There are lots of websites that offer much reading as well, which you can access any time unless you are not wanting to use data. 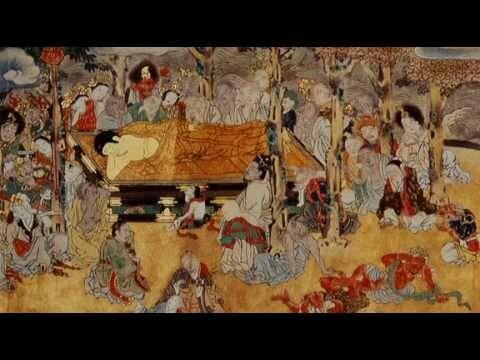 accesstoinsight.com is a good place to start if you enjoy sutras. Beyond that, a lot of it just depends on your preference. Some love to read the Dalai Lama's books, I personally find him kind of a dry author. I've attempted to read many but didn't finish a single one. I can finish a Pema Chodron or Chogyam Trungpa book in a single setting if life doesn't get in the way. More sutra related books I tend to read as needed, like "In Buddha's Words" by Bhikku Bodhi. He is an excellent author but I don't get much out of simply reading and pondering sutras every day. So, if there is a particular direction you are looking as far as a topic or a tradition that would probably be good to know. So there are a lot of wonderful books and I think you could get any book now in digital format. Definitely check out Zen Mind Beginner's Mind. I also really like "Sit down and shut up" by Brad Warner, he is a zenny dude and it shows. It's a bit more of a narrative with wisdom and personal experiences dropped in throughout. I think the blog Awakening to Reality is also really good. It's inspiring to read about other peoples' pathiness. What really got me into a lot of teachings was Zen stuff, koans and the sort, so I recommend looking into that flavor of resources. Access To Insight also has an app where you can browse the collection of resources offline so even if you don't have phone service/internet/wifi you can do some dharma study / reflection. Don't underestimate the importance of study. Sitting meditation is definitely necessary for enlightenment, but it's also important to study so you have a firm theoretical understanding. Without that, aeons of sitting aren't going to be of much help. Me too, I own a copy, it has a great compilation of suttas. Merged @genie's thread with existing thread begun by Brian. All members should direct new members seeking literature and reading material, to this thread, as it is most helpful. Dakini Power by Michaela Hass is about 12 buddhist women from different traditions. Who Ordered This Truckload of Dung by Ajahn Brahm. I have a confession: I find most of the Dalai Lama's books a bit scary. Even a bit dogmatic and judgemental. Okay, I'm glad he's not doing the new age PR but still... I'd rather keep the remains of my rosy visions about him than read any of his books. I'd be a lousy Gelugpa anyway. I know few books that have saved my life but its only in other language, there are no English translations yet. Its called "Treatment of Life". The snim(monk) who wrote this book also wrote "Secret of 0.5 second", which I haven't read yet, I am looking forward to reading that one too. I am enjoying and would recommend "Happiness: A Guide to Developing Life's Most Important Skill" by Matthieu Ricard and "Full Catastrophe Living: Using the Wisdom of Your Body and Mind to Face Stress, Pain and Illness" by Jon Kabat-Zinn and Thich Nhat Hanh. Darhma Bums by Kerouac is great. So is Siddhartha by Hesse. 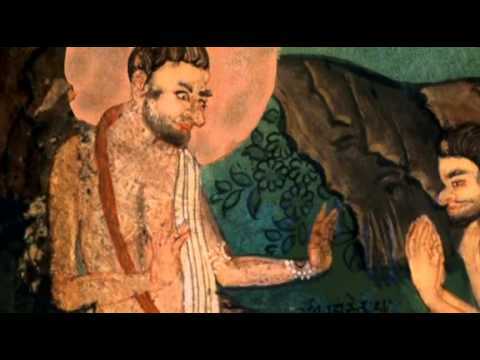 I like Deepk Chopras book on the Buddha and his books about Christ. I am currently reading John Powers Introduction to Tibetan Buddism. Hello all, I am reading over your comments, and have to ask / say, it appears that a lot of these books are from various, "sects" of Buddhism. Please forgive the use of the term "sect" just not sure if that is the correct adjective or not, I mean no disrespect. I bring this up, as if there are many different sects, can I take from that, the beginning steps on ones path, no matter what "sect" one chooses, will be primarily the same? I have been looking over the number of different forms of the practice and some of them appear to be quite different on the way to reach enlightenment. I haven't even read my first book to take me on my journey, so please understand I am only asking as a student. @federica - I lived in France for a while! There is a great english book shop near Concord (where everyone was beheaded) Sorry for the graphic reference The store was called WH Smith. Me and my doggy used to visit there every week! The Art of Happiness is the book that started me on this journey. Good call! I just finished reading the heart of the Buddhas teachings by Thich Naht Hanh and this is why I'm posting here. Amazing book that I highly recommend. So I found this pdf of "Old Path White Clouds" by Thich Nhat Hanh. I don't remember how it got on my laptop. Has anyone read this? Oh, yes, it's favoured reading of quite a few members. Yep, my personal favorite - (OPWC by TNH). Wisdom Energy; basic buddhist teachings by Lama Yeshe @ Lama Zopa Rinpoche. Yay! I'll probably begin reading this mysteriously begotten book this weekend. I've been stress reading. Maybe this book has already been mentioned here (I haven't trawled through all the posts in this thread, in a bit of a rush this morning ) but has anyone read Leap like a tiger walk like a tortoise by Jampa Thaye, and, if so is it recommended? Hi all, recommendations for reading material around starting and cultivating and maintaining a daily meditation practice. If you have a local library try that. I think the 'Dummys guide' series is excellent 'Dummies guide to meditation'. Very good advice. Am in the throes of reading Viktor Frankl's 'Man's search for Meaning'. Not as harrowing as i feared, but nourishing and Hope-ful. Recommended. I have purchased a copy for my Mother for Christmas. I will post back when I begin "Fire under the Snow"... That, I fear, will be altogether a different story. Quite literally. I found “Mastering the Core Teaching of The Buddha” by Daniel Ingram, a pretty powerful and educational read. It kinda kicks starts the deeper complexity of Buddha’s teaching. Written frankly and to the point. It even has “mind maps” that map out various pathways to reaching enlightenment. There part of the book, however, is a fairly deeper and dense read. AccessToInsight also has a lot. Everywhere though, there are strong opinions which can rub one the wrong way. My advice Don't Panic and take all opinions with a grain of salt; the Buddha advised all his disciples to verify, and to Let Go. views which do not lead to equanimity and liberation. I enjoy the writings (and recored dhamma talks) of Ajahn Brahm, Ajahn Bramali, Ajahn Sumedho, Jack Kornfield, Sylvia Boorstein, among others. My favorite Book for a beginners guide to Buddhism is “What that Buddha taught” by Walpola Rahula. 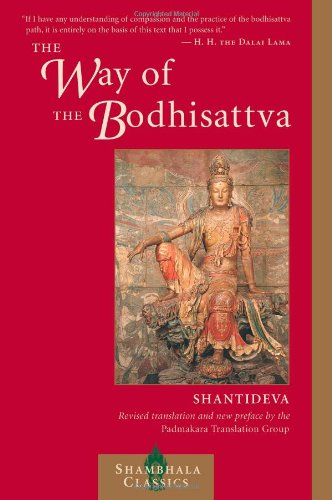 It gives a very crisp, concise outline of the heart of the Buddha’s teachings. I try to reread it once a year.